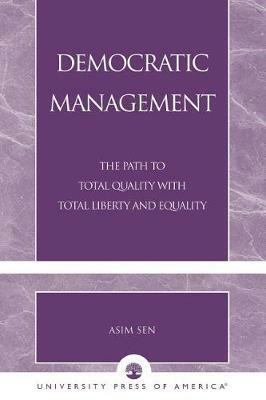 This book utilizes some of the values and principles of democracy into management practices. It develops the understanding of the value of true democratic management and designs its major practices as a comprehensive and unified whole. These practices include sharing the authority, ownership and the outcomes (cost and benefits) of the organization, providing open and close human relations, long term employment and allowing stakeholders, especially the employees, to participate in major managerial decisions directly. The book also shows the process of democratization of current educational, political, economical, social, technological, and global activities interdependently and wholly, in the long and short term, which is required for the development of true democratic management practices.